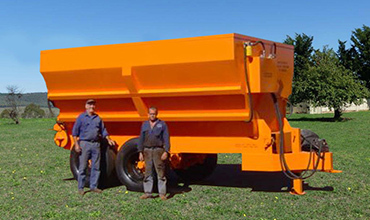 We’re the proud manufacturer and distributor of Australia’s toughest, most efficient and affordable PTO spreader, the Wallaby Spreader. Our all steel construction and versatile design will ensure you get value for money from your hard earned dollar. 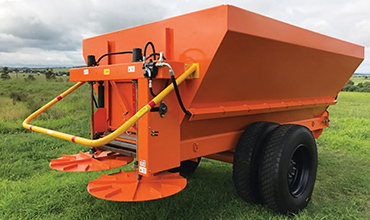 Our PTO spreaders are designed to spread a large variety of materials including chicken manure, cow manure, seed, sawdust, lime, gypsum and top soil. Ideal for vineyards, orchards and all horticultural operations. Ideal for vineyards, orchards, smaller chicken farms and all horticultural operations. 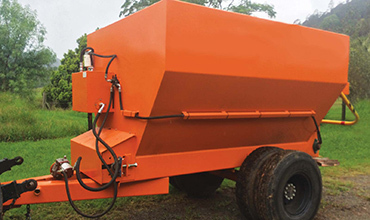 Ideal for poultry farms, dairy farms and general spreading. Ideal for small to medium feed lots requiring increased spreading efficiency. Ideal for broadacre applications and large feedlots. We can design and manufacture a spreader for your exact requirements. 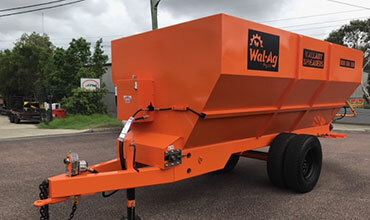 Get a quote on your new Wal-Ag Spreader today! 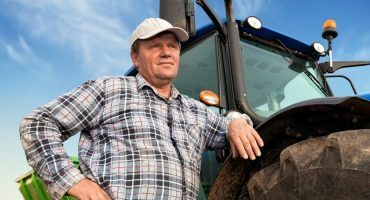 Why Buy a Wallaby Spreader? Our spreaders are simple and easy to use. 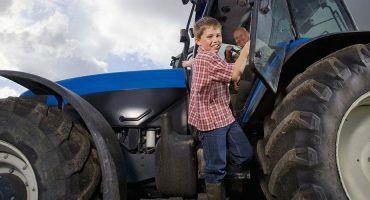 All you need to do is attach to your tractor and go. Will spread a large variety of material including chicken and cow manure, seed, sawdust, lime, gypsum and top soil. Well designed and easy to operate. It’s also very manouverable and stable on steeper ground. 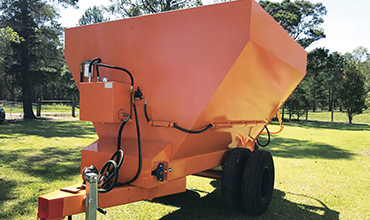 Owning a wallaby spreader has given us total control and flexibility over the timing and fertiliser application rates. 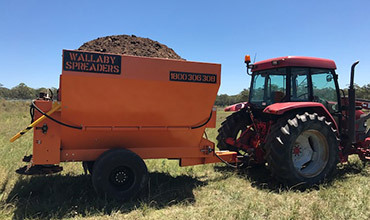 As a contractor, owning my own Wallaby spreader has given me flexibility to service my clients with a highly durable and easy to operate machine. My machine will handle manure at a constant rate, knowing this makes it easy to plan what will be spread for the day. The team at Wal-Ag offer great after sales service, providing solutions in both engineering and maintenance of the machine.